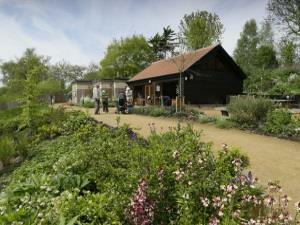 RSPB Flatford Wildlife Garden01206 391153work GardenWhether you are seeking inspiration to help nature in your garden, or the idea of a family day out in the heart of Constable Country excites you, come and enjoy free entry to our first dedicated wildlife garden. The garden is situated in the beautiful and historic hamlet of Flatford, where John Constable used to paint. It is designed to teach and inspire people to Give Nature a Home in their own gardens. The garden occupies a beautiful setting, on a south-facing slope beside the serene River Stour. It consists of flower borders full of nectar and pollen, a small wildflower meadow buzzing with life, a young apple orchard, woodland gardens, and a kitchen garden, all designed with garden wildlife in mind. We offer children’s activities during the school holidays, and events for all ages at other times. It’s a beautiful place to get closer to nature! Please check our events page for full details. As well as exploring our lovely garden, there are lots of other things to do around Flatford: in summer there are row-boats to hire on the river, as well as boat trips to Dedham. You can discover scenes and landscapes painted by Constable at every turn. You can walk up and down the lovely, serene Stour Valley and Dedham Vale. Flatford and Dedham (which is a pleasant walk up the valley) both offer great places to have tea and cake or even lunch in a lovely setting! Why a wildlife garden? Well, gardens cover three times more land than all RSPB nature reserves put together, and therefore are a huge potential resource for wildlife if they provide the right conditions. They could help to create links throughout the wider landscape between the shrinking areas of good habitat that are left after the depredations of the last 70 years. This is vital for freedom of movement and ultimately the stability of wildlife populations in a changing environment. Whether you are seeking inspiration to help nature in your garden, or the idea of a family day out in the heart of Constable Country excites you, come and enjoy free entry to our first dedicated wildlife garden.